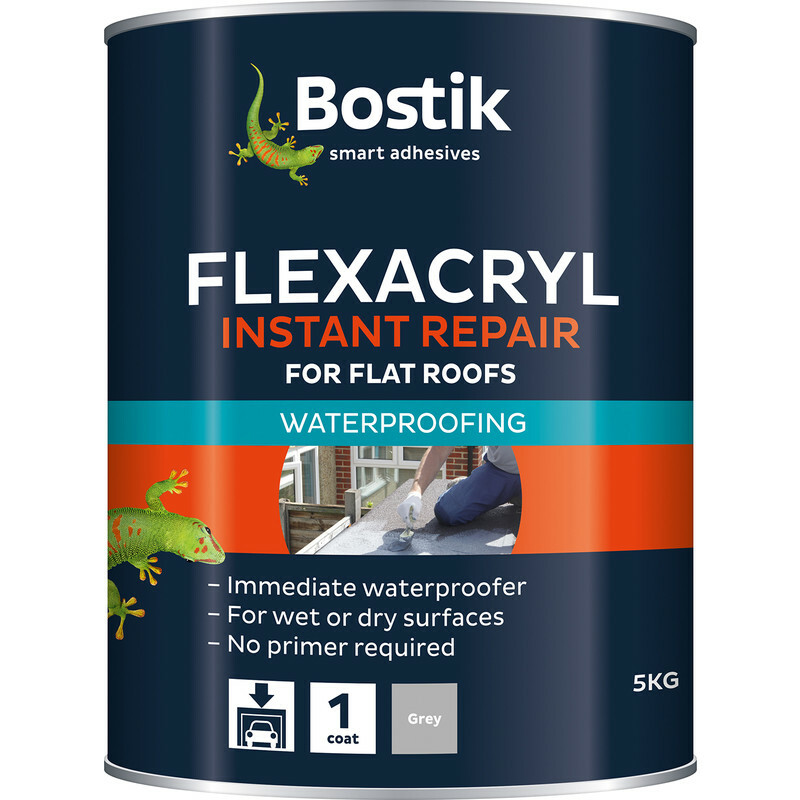 A flexible instant roof repair compound, ideal for emergency repairs or general maintenance. This product can be applied onto wet or damp surfaces. Coverage approx 1-2 litres per 1m2. Bostik Flexacryl Grey 5L is rated 4.9 out of 5 by 10. Rated 5 out of 5 by fleebe from good Bought this after trawling the internet to waterproof a leaking old concrete roof covered in moss.After getting rid of the moss with a wash also bought on here i brushed it over the roof allowed to dry then gave it another coat and it has stopped all the leaks 6 months up to now,great stuff. Rated 5 out of 5 by 1MMM from Stops flat roof leaks immediately used to repair a split in the flat roof, solved the problem immediately- two coats for a perminant repair. Rated 5 out of 5 by probinson from Cementone Flexacryl Black Pleased with purchase and service for which many thanks. Rated 5 out of 5 by Andy p from Excellent product Excellent product and very impressed with the service received. Ordered late Saturday evening and delivered early Monday morning. Rated 5 out of 5 by JAML from Good product Excellent product and does what it says on the tin.